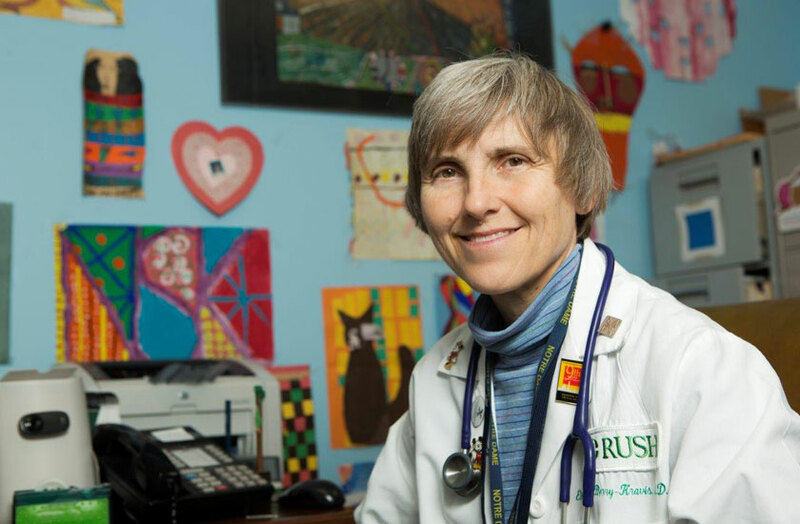 Each November, Elizabeth Berry-Kravis, MD, PhD, runs in a half marathon race in Naperville to raise funds for research in fragile X syndrome, a rare genetic condition that causes intellectual disabilities, physical abnormalities and behavioral problems in children. When a research study of a possible treatment for fragile X failed in 2014, devastating families who had poured their hopes into it, Berry-Kravis ran the full marathon to make a point: When it comes to finding treatments for fragile X and other debilitating conditions, researchers have to be in the effort for the long haul. It was a typical response from Berry-Kravis. 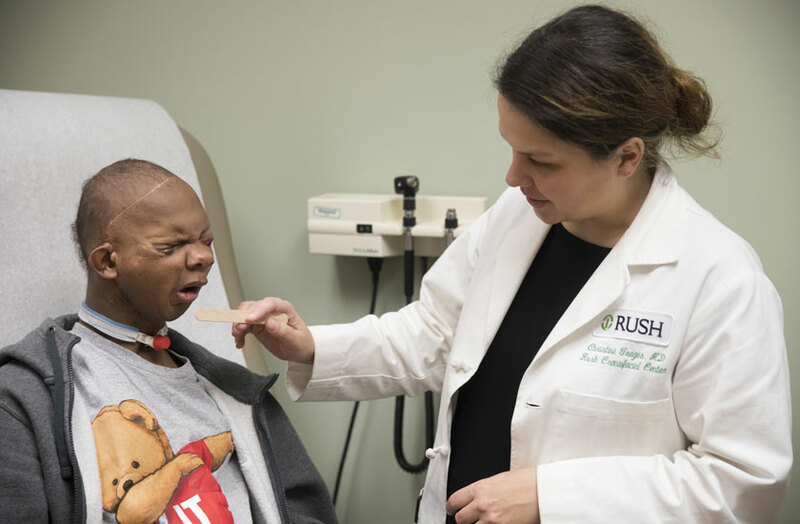 A professor of biochemistry, neurological sciences and pediatrics at Rush University Medical Center, she has spent her career as a determined foe of a group of rare, inherited neurological disorders that strike and sometimes kill children. 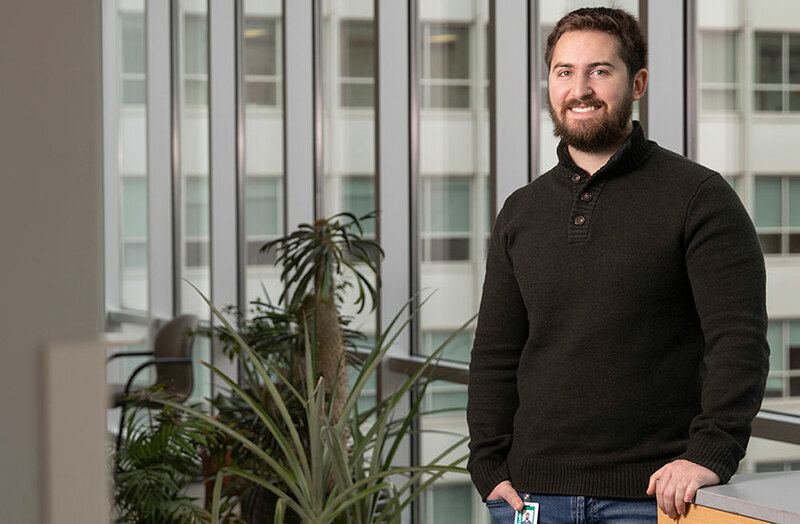 Berry-Kravis’s approach to fragile X and other devastating genetic diseases is to look for treatments that will halt or reduce the metabolic processes that damage the individuals who carry the underlying gene anomalies. Fragile X is more common in males — it affects about one in 4,000 — and typically is more severe in boys than in girls. Symptoms begin to appear early in life and are clearly present in most affected boys by two years of age. 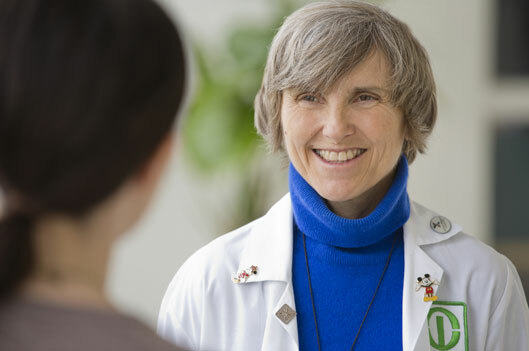 Berry-Kravis began her work with fragile X as a young researcher in 1988, three years before the identification of the FMR1 gene that causes the illness when it mutates. 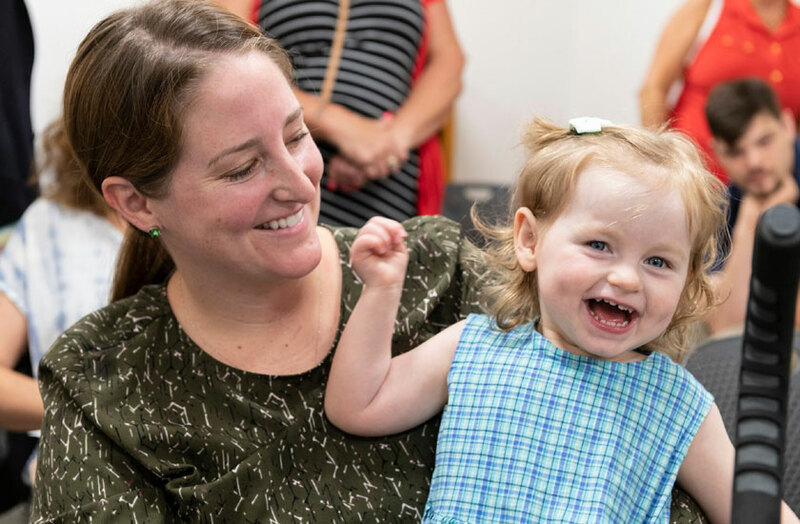 Despite great advances in the field of genetics in the intervening years, a straightforward gene therapy for fragile X has proved “elusive,” she says. Instead, Berry-Kravis has pursued “targeted treatment strategies,” looking for drugs that will interfere on a molecular level with the problems the genetic anomaly creates in patients’ brain cells. She takes the same approach with another devastating genetic disease, Niemann-Pick Type C, or NPC for short. The rare and devastating disease also is known as “childhood Alzheimer’s disease” because, like its namesake, NPC causes progressive mental and physical decline and often is diagnosed in elementary school-age children. There is no cure for NPC, and young kids suffering from it usually die before they turn 20. 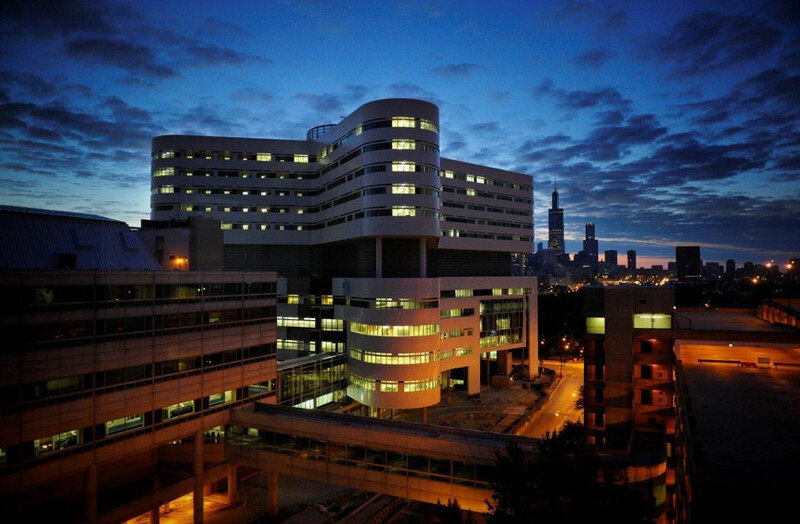 Berry-Kravis currently is treating NPC patients using an experimental drug in clinical trials that she was able to offer by seeking what’s known as a compassionate use investigational new drug approval from the U.S. Food and Drug Administration. Use of such special INDs, as they’re called, allow for treatment when existing research trials aren’t available to patients, but they require considerable effort to obtain. About 17 patients nationwide are receiving the drug through this arrangement, with three more beginning treatment in September. The trial is expanding to allow doctors at other sites to treat patients as well. 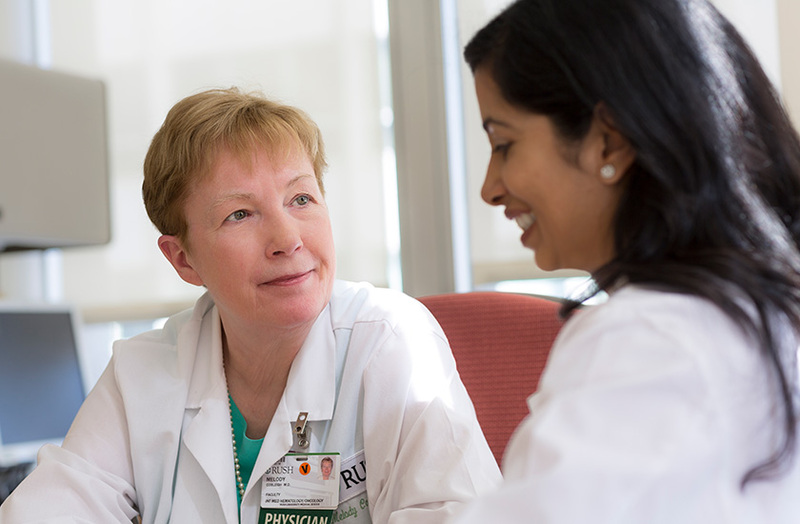 Berry-Kravis is treating more patients this way than any other clinician in the country. Her work also has implications for disabling genetic conditions such as Rett and Phelan-McDermid Syndromes, and other genetic disorders. However, finding treatments for these conditions is not easy. Especially with a rare condition that plays out in the hidden recesses of the brain, “it’s easy to go down a dead end,” Berry-Kravis says. She doesn’t stop trying, though. For example, the study that ended in 2014 was examining the use of a drug known as mavoglurant to treat adults. Numerous laboratory studies have indicated that mavoglurant and other similar drugs may be very effective in reversing the brain abnormalities fragile X causes. Berry-Kravis and other researchers think the drug might benefit children who are only beginning to show symptoms of the disease. “We are hypothesizing that … we tested the wrong things at the wrong age and over an insufficient period of time,” Berry-Kravis says. So they’re going to try again, this time using children as research subjects. Because of safety concerns, researchers haven’t conducted many studies with children, whose development may be affected by drug treatments. However, the stakes are so high with fragile X and related disorders that it makes sense, even to families, to take some risks in hopes of a new treatment. Early childhood, when the brain is especially malleable, may be “the only time to see a large enough effect in a short enough time” to assess how well the drug is able to restore learning ability in the developing brain, Berry-Kravis says. Last year, the drug company Novartis, which manufactures mavoglurant, agreed to provide the drug for tests in children if fragile X researchers could secure funding for the trial. Characteristically, Berry-Kravis took up the challenge, and spent months writing grants for the project. In this study, which is expected to start recruiting patients in May of 2017, three to six year-old children with fragile X syndrome and developmental delays will receive either drug or placebo treatment, and all the children will receive a six-month intensive language learning intervention during treatment. The study will measure whether the children treated with the drug learn better than those on placebo. 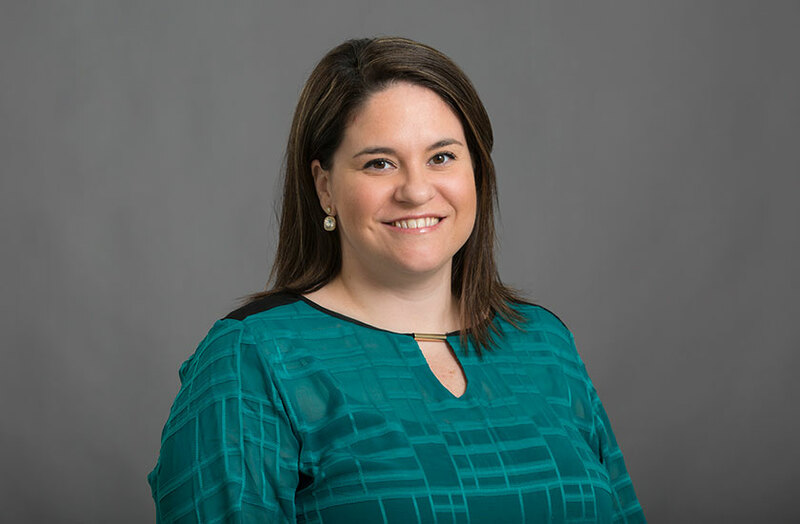 Berry-Kravis has been driven to push the envelope since her childhood in South Bend, Indiana. Her early inspiration to be a neurologist was reading about a boy with a brain tumor when she was in the seventh grade. The daughter and granddaughter of University of Notre Dame faculty members, Berry-Kravis assured her family she would find a way to attend the then all-male school herself. Just in time, the university decided to admit women, and Berry-Kravis was a member of one of the first co-ed classes there. 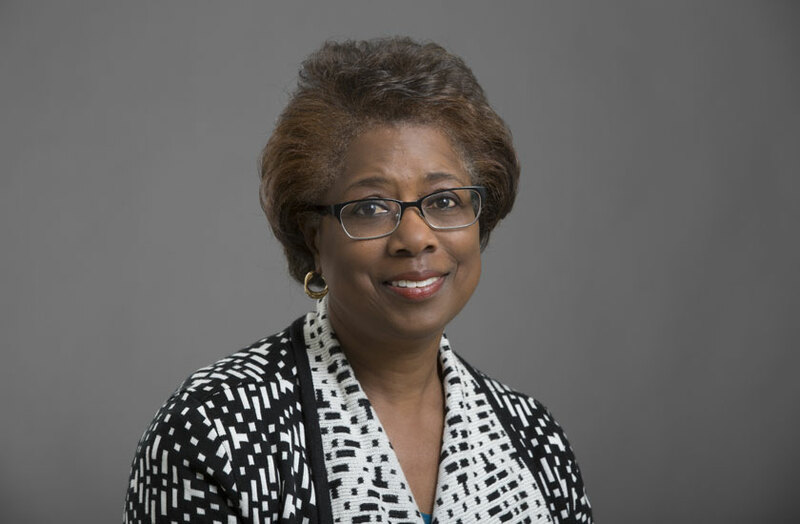 She excelled in science, and went on to the University of Chicago via the NIH-funded Medical Scientist Training Program for elite prospective researchers, which allowed her to pursue a medical degree and a PhD in biochemistry in tandem. 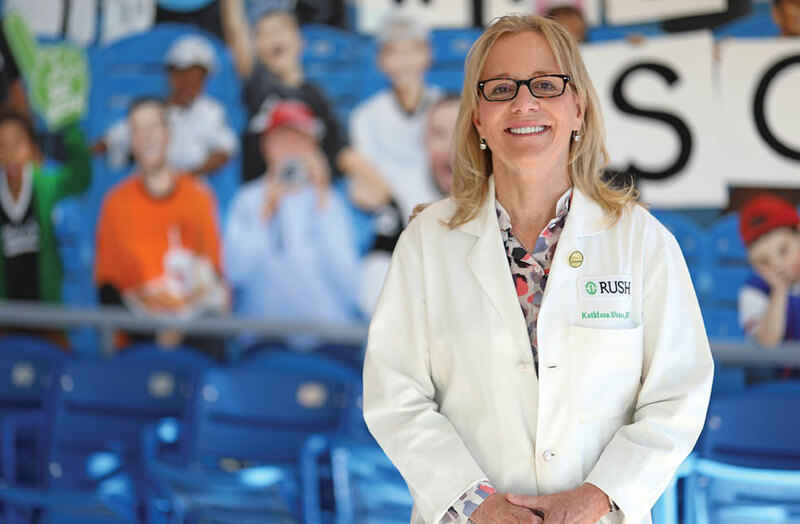 When Berry-Kravis moved to Rush in 1992, she brought her fragile X program with her, including her patients, stored cell cultures, samples and one experiment incubating in solution that she and her lab assistants moved across town in a truck, so she could get right to work on it as soon as she arrived. 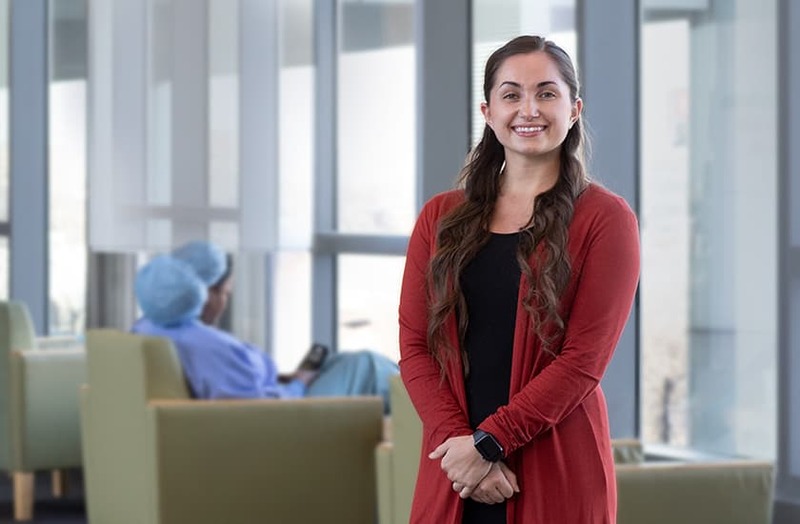 That she maintains that kind of drive and determination today is evident in her work treating NPC as well as her efforts for fragile X patients. Berry-Kravis has recently become a go-to clinician for NPC, a disease that is so rare it’s only found in about 500 people worldwide in a given year. She presently treats 17 children and young adults with the condition, which causes excess cholesterol and lipids to accumulate in the brain and other tissues because these lipids cannot be transported or metabolized properly within cells. Every two weeks, Berry-Kravis injects the drug cyclodextrin into the spinal fluid of the six patients she’s treating through the compassionate trial. She even car pools to work with one family when they’re bringing their daughter to Rush for the treatment. Personally administering the drug is a time-consuming process, but Berry-Kravis says the treatment seems to be helping keep the disease’s devastation at bay. In addition to the compassionate use trial, she also has 11 patients enrolled in a phase II/III trial sponsored by the biotech company Vtesse that’s seeking evidence of drug effectiveness of cyclodextrin needed for FDA approval of the drug to treat NPC. Researchers at Rush University Medical Center and the MIND Institute at UC Davis have found that mavoglurant, an experimental drug known as an mGluR5 negative modulator, can positively modify a key characteristic behavior in individuals with fragile X syndrome. Rush and the Angelman Syndrome Foundation announced the official opening of the Angelman Syndrome Clinic at Rush University Children’s Hospital, the first in Illinois and one of only eight in the U.S.
A pediatrician at Rush has joined other Chicago-area physicians to urge support of proposed state legislation to license Illinois gun dealers.